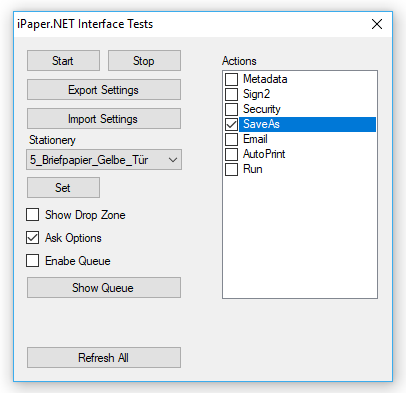 With version 3.x of iPaper, there is now also the possibility via a .NET interface to query and set different functions and settings of the iPaper client from own applications. In order to illustrate the available functions or to be able to test, a C # sample project including source code and executable application is available. 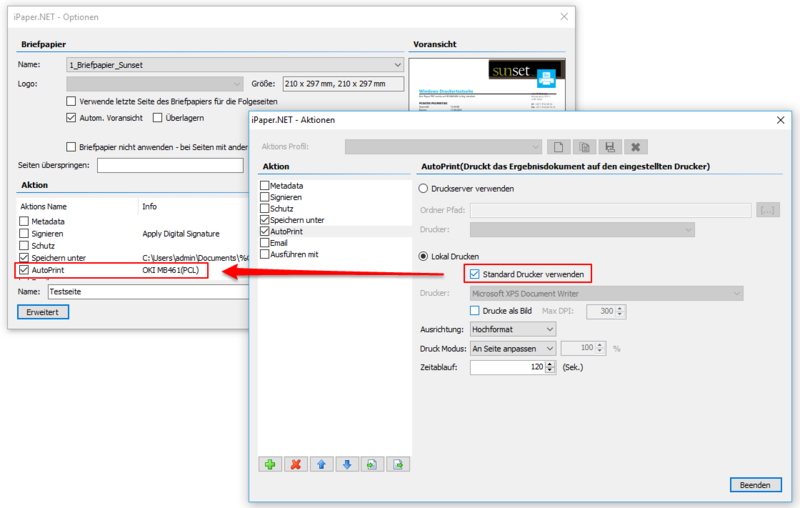 Display configured actions as a list, activate / deactivate actions from the list. “Use last stationery as standard“ – If this option is checked, the recently used stationery will be set as the new default stationery. If this option is not ticked (default setting) – in the “Query options” processing – the “standard” stationery selected via the configuration or via the Icon Tray function is always selected, irrespective of which stationery was used during the last processing. 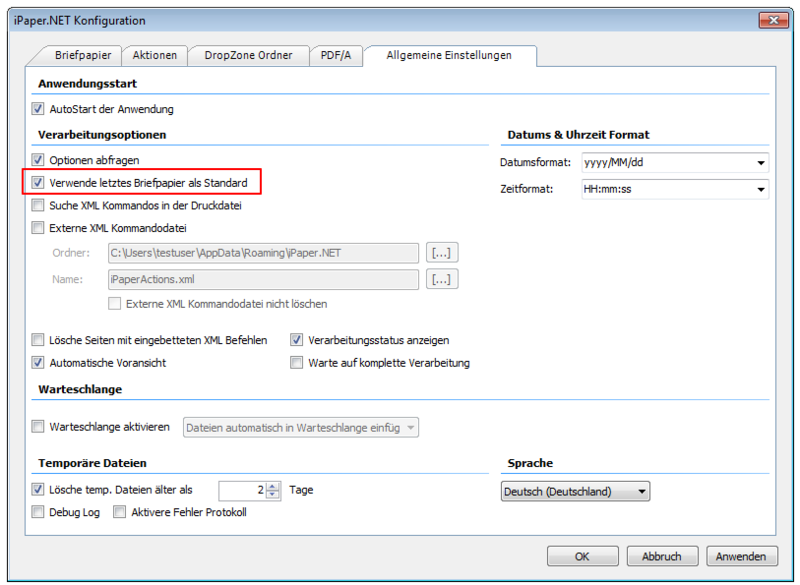 “AutoPrint “Action – default printer: If the option “default printer” is ticked, then in the “query options” processing the default printer set in the operating system is displayed for information. Previously, for the HTTPS / SSL communication between the FCpro server and the clients for the REST / SOAP web service, an internal self-created SSL certificate installed via the FCpro setup was used. However, if company-specific security standards require a specific public SSL certificate, this is possible from FCpro version 1.0.76.